I stumbled on this recording in my studio, quite randomly today. It is worth a few minutes to listen to. 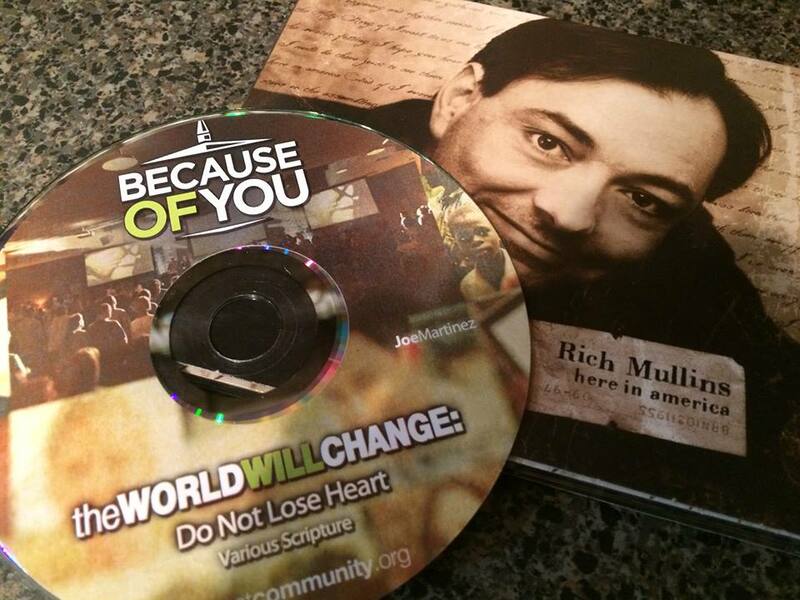 If you want to know what my heart is saying… why I cannot ignore the call to return to the Toledo District of Belize soon… to Rwanda one day… The irony to this prophetic work of art on “Here in America” is that it was released after Rich Mullins died at a young age. Here I am. In America. Feeling sick to my stomach. I’m so grateful to have this CD of our pastor’s message. The 8th week in an 8-week series rolling out our Vision 365 mission plan. So very glad God called our family to STAY and to PRAY when so many chose to leave. I see seeds that scattered on fertile ground. I see seeds that scattered on rocks, only to dry. I see our former pastor’s vision coming to life. I believe God is watching over all of us. Sometimes your Christian friends will go a different direction than you do. If you’re on the same path with eternal perspective, you’re going to end up in the same place. Eternity is a really long time. Our time here on earth… here in America… it’s all a flash… a vapor… a blink of an eye. I don’t want to answer any unnecessary questions when I finally meet Jesus. Debates over buildings that aren’t the church. People are the church. When did we forget? I’m sad about diversionary tactics the evil one uses to distract us from the ministries each of us are called to when we stood up to claim to be Christians. Where is the love? That’s all we were asked to carry out until His return. I feel stuck at this moment. It’s another diversionary tactic preventing me from a ministry right under my nose. It’s the ministry I’m supposed to tend to during the waiting season. I guess I need to come out of the shell I tried to crawl into when I returned to America. Doggone it! I almost got caught up in another diversionary tactic.